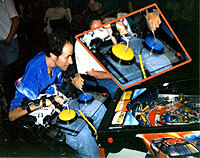 Coin-operated amusement games that have been adapted for accessibility switch use. A small number of companies making traditionally inaccessible arcade games a possibility for disabled gamers. Please feel free to e-mail for help on anything that is unclear. Brand new pinball machines adapted for switch access and wheel-chair height. Accessible Pinball video links here. Unusual game of skill adapted for switches.Try to win sweets under the glass dome by controlling a crane with two buttons, one to scoop and one to drop. 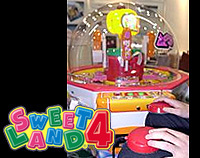 'Sweet Land 4 RT' Video link. More information in English here. Switch accessible JAMMA arcade games for home use. 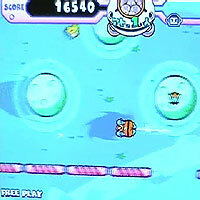 Some of the finest one-switch games are JAMMA compatible: Mushihime Tama, Uo Poko (CAVE) and Star Trigon (Namco). D.I.Y. guide; Star Trigon Video link here.